What is Trials? - WELCOME TO THE MSTA! While it is commonly joked about that trials began when the first motorcycle was created and somebody went "Hey, I wonder if I can go over this? ", most agree that trials officially began in Scotland before 1910. The first bikes were not specialized to the sport, but were just regular four stroke motorcycles. 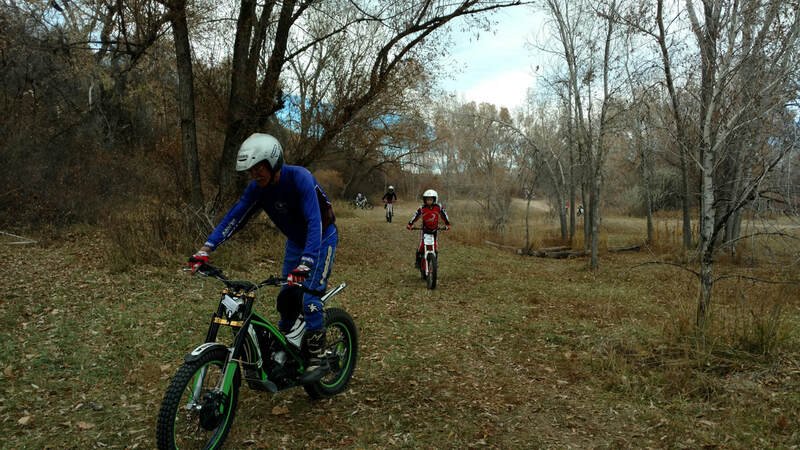 Trials started out as a way to test the reliability of these new bikes. Then everybody realized how much fun it was. 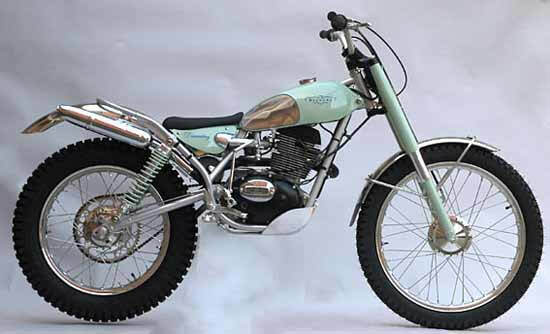 But even when bikes started evolving into trials specific bikes, they were still heavy, twin-shocked air-cooled engines. All this while trying to ride slippery, muddy, rocky, logs and creeks and hills. 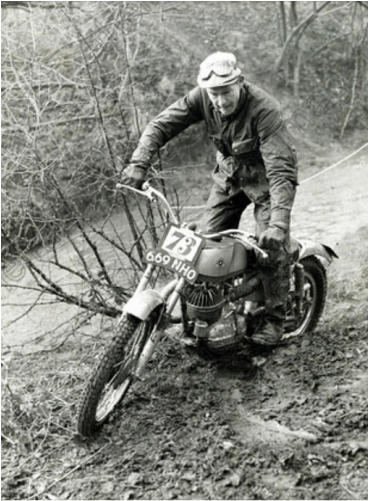 One of the longest running competitions in the world was also born during this time, the Scottish Six Days Trials which has been occurring since 1909. As trials evolved, so did the bikes, becoming lighter, slower, and easier to maneuver. Modern bikes are light, usually averaging somewhere around 150 pounds (think mountain bikes with engines). They are usually two or four stroke machines (although electric bikes are being produced now as well), with a unique design compared to other motorcycles. The low-slung seat and specially designed clutches and engines allow the bikes to creep and idle at slow speeds for tight, technical corners, then rev up in a burst of torque and acceleration that riders need to navigate rocks, logs and hills. The slimmed-down body not only is light, but allows the riders to move their body and the bikes in ways that make negotiating tough terrain easier. 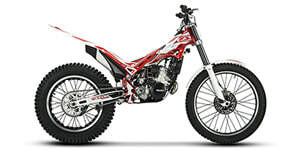 All trials bikes are produced overseas, but many are available from U.S. dealers. Some brands only produce two-stroke engine bikes, like Gas Gas, TRS and Sherco, while some offer both two-stroke and four stroke options, like Beta. Montessas, Vertigos and Ossas are a four stroke bike that have fuel injection. All of these bikes come in varying engine sizes, from 80cc up to 300. Another recent change to the lineup are electric bikes from Osset and Electric Motion. Osset bikes are smaller, and many start their young children on them to learn balance and throttle control. While all the bikes share similar characteristics, they do have some differences that can be good or bad depending on the individual rider. Going to an event and asking questions or going to a club day to ride different bikes is a good way to understand the differences and which one feels better to you. A rock bed section. The upper classes went through the large rocks with lower classes going around them. 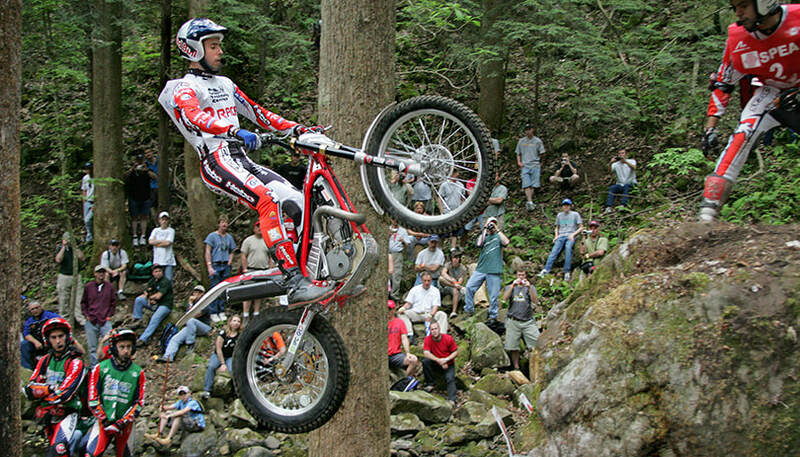 Trials as a sport consists of slow-speed maneuvering over obstacles such as rocks and logs. Most of a rider's time is spent going under 5 m.p.h, with quick bursts of speed to accelerate over the obstacles. In contests, riders must navigate sections, passing through gates that are designated their class and following certain rules as they do so. 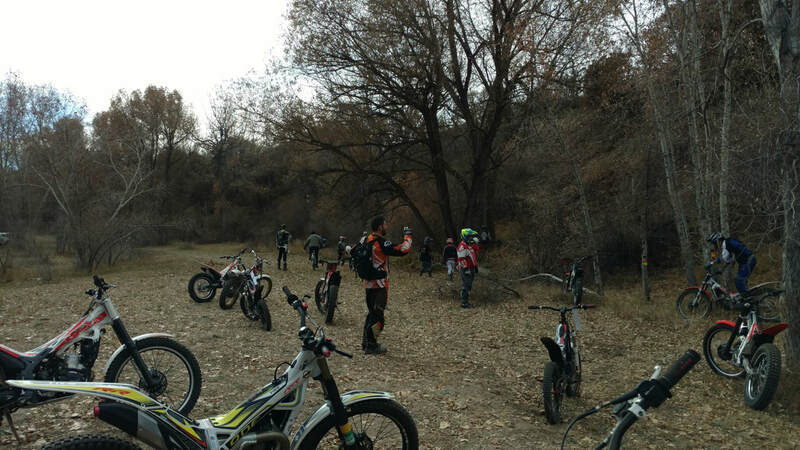 Classes can change from club to club but range anywhere from Novice (very basic beginner) to Pro (top level riders), with the difficulty of the lines increasing as you go up the class levels. ​The sections are usually short, taking only a minute or two to ride. There may be anywhere from 8 to 10 sections on a loop. The riders then ride the loop three to four times. You gain points by putting a foot down (called a dab), with the intention of riding through a section "clean" without any dabs. The rider in each class who gets through the loops with the least amount of total points wins. Trials is a unique sport in that it doesn't matter if you're male or female, young or old, or what your athletic type is. Ages of riders can range from 3 years old to 70. Whole families ride together. Some people start as kids, others start in their 30's and even 50's. Some start as motocross or other motorcycle riders who come to the sport because it is safer and different. Some come to it not knowing how to ride a motorcycle at all. Trials is also slow speed, meaning that while injuries do occur as they can with any sport, they are mostly minor such as a bruise or scrape. Many times you learn how to fall, and can avoid the injuries altogether, especially with all of the safety gear out there. The bikes are also tough, and designed to handle the abuse of going over rocks and logs and the impact forces that occur. Trials bikes are also generally cheap to maintain. Most tires can last a season or two, with chains lasting about the same amount of time (as opposed to motocross racing which usually changes tires and chains every race). Regular maintenance usually consists of merely lubing the chain after a ride, changing the air filter every other ride and changing the transmission fluid once a month or every other month. Trials bikes are also quiet, hardly making any more noise than a lawnmower. Trials is also fun because you don't have to have a lot of space to practice. Many people spend hours practicing in their yards or driveways, creating miniature training setups. Some bring their bikes inside in the winter, practicing their balance as they watch T.V. Trials is a sport unlike any other. Trials is worldwide, with professional riders in Europe and Asia filling up stadiums and drawing huge crowds to their outdoor venues. Trials bikes are not street legal in the U.S., but are overseas. It is not unusual for people to take their lunch break and practice in trials parks scattered throughout the cities over there. Trials is a family, a community, making friends with people around the globe all drawn by a similar passion and love. Members help each other out, and become like family. 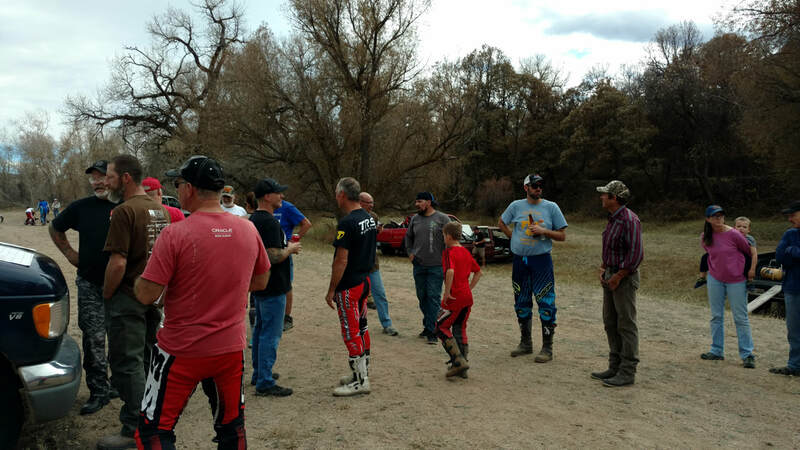 Contests and clubs in the U.S. are usually volunteer based, with people taking the time to organize and set events purely so others can enjoy them. If you are interested in learning more about trials or becoming a member of the club, please contact us. You can also come out to an event (which are free for spectators) or one of our club days.